We are looking for a hard-working and responsible team member to join our Bio-Control team. The Bio-Control Team Member should have a proven background working in laborious roles and harsh weather conditions. This role will be responsible for supervising and developing volunteers to assist in the bio-control facility. The successful candidate will be reliable, passionate about insects and other organisms, an enthusiastic self-starter who is willing to work with our community to meet the financial, social and environmental objectives of the bio-control area. This person will have initiative and be open to sharing their practical skills and experiences with a broad range of people, and will be able to implement project objectives as directed. Full training will be provided to the successful candidate in this role. Please review the job description here before applying. We look forward to welcoming you to the team. 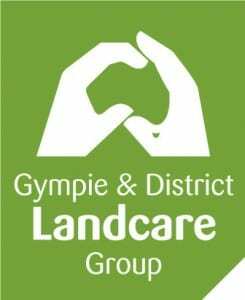 Please send a cover letter and your resume with at least three references to admin@gympielandcare.org.au. Applications close on Friday, 8 February at 5 pm. Those who are shortlisted will be contacted, however, if you do not make the shortlist we will keep your application on file for twelve months.